What is a Patriotic Inflatable? Our patriotic inflatable lineup is American themed and it includes inflatables that range from Uncle Sams and American Eagles to red white and blue balloons. They come in all sorts of sizes so if you need a small one for a display or an entrance, we have one. How about if you need a giant inflatable? We have those too! Just tell us which one you are interested in and we will be happy to tell you what we have available. They typically come in a 10', 15', 20', 25', and 30' size but they can be customized to be whatever size you might need. Our rentals inventory has all of the aforementioned sizes and styles and even more. You can rent an inflatable for a weekend, a month or as long as you need. 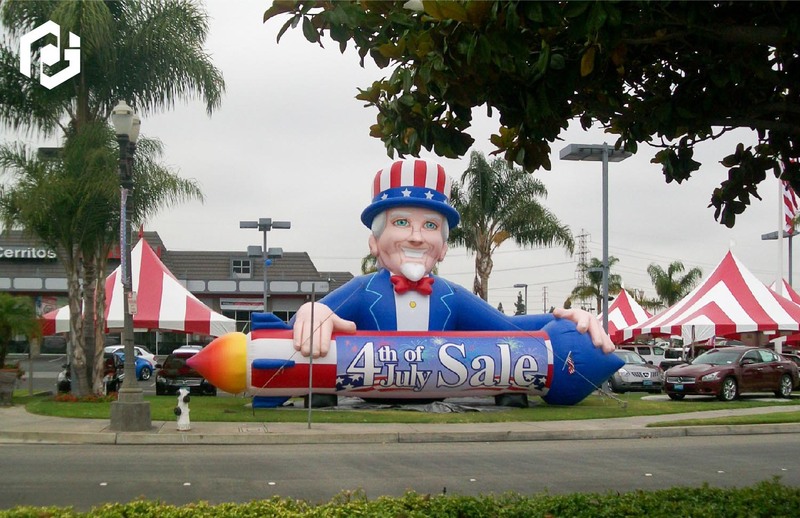 The patriotic themed inflatables are perfect for decorations to show some holiday cheer or as marketing instruments. You can add a banner with a customized message on it to promote a sale or an upcoming event. The inflatables themselves are huge and they truly stick out when they are displayed in public areas where people are bound to see them. The best part about them is that they aren't just a boring 2-D sign, instead they are 3 dimensional figures with a fully developed shape which is truly eye-catching. The best part about them is that they are heavy duty and they can be installed on just about any flat surface. The pavement, a lawn or even a rooftop are perfect places to install them since they all come with a tarp, tethers, their respective blowers and of course, the inflatable itself. How do rentals work? If you need to rent an inflatable we will provide you with availability dates for what we have in stock along with pricing for all the different sizes we have available. So, why would anyone rent an inflatable? Renting one can be cheaper since they are all made with extra heavy duty materials and sometimes they are only needed for a weekend or even for just a day, so it is inconvenient to go out and buy a whole inflatable if you're only going to use it once. Much like a wedding dress or a tuxedo, renting one is far cheaper if you're only going to use it once. Of course, if you are going to all of the time, buying one might be cheaper than renting because renting costs can accumulate in the long run. 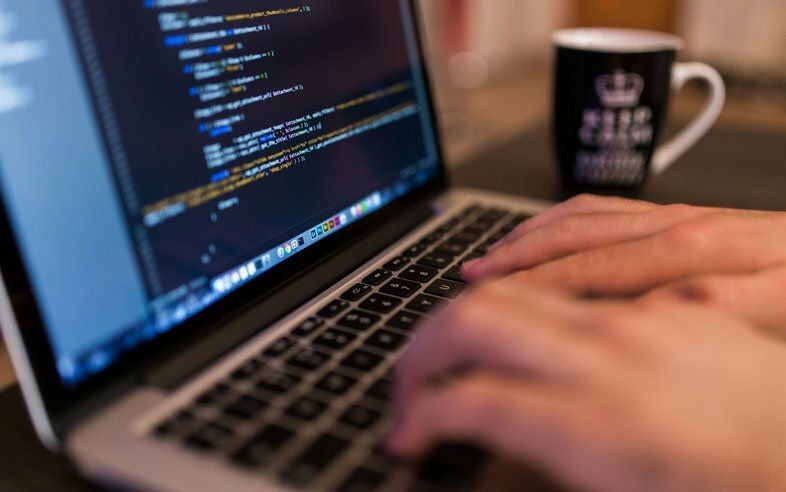 What if I want a custom project? So what if renting isn't for me? What if I want to buy an inflatable for myself, my company or organization? As mentioned above, renting costs can accumulate and owning the inflatable might be cheaper sometimes. When renting an inflatable, the only way you can add custom signage, logos and messages is to add a printed banner to the inflatable, such as the ones you see above. When you buy an inflatable, you can completely customize it to your liking. Have it match your company branding guidelines with specific colors or messages and slogans written along the inflatable. Tell us what size you would like it to be or if you don't find what you are looking for in our catalog then we can design one just for you from scratch! Building inflatables is one of our passions and we would love to work with you. Whether you need to rent one or buy one for your teams marketing campaigns, we are always ready. If inflatables are not the promotional product you are looking for, fret not, we have many other marketing products, just tell us what you are trying to accomplish and we will work with you to make that happen!